Healthy teenage skin is beautiful, young and fresh but it has needs just like adult skin, especially if under any stress. The most common problem for teenagers is they over cleanse. It needs to be clean, absolutely, but not stripped clean. 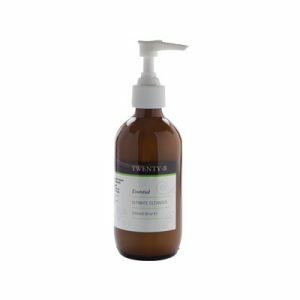 Many foaming cleansers on the market do in fact strip the skin and they upset the pH balance leaving many teenagers creating more oil flow to compensate. The idea is to treat the skin with great care and the Ultimate Clay Cleanser is perfect. It’s gentle enough to soothe the skin and the clay penetrates the skin to deeply cleanse. The next step is the Toner Concentrate which can be used in the Spritzer or as a Compress, which is where you add a couple of drops of the toner concentrate to a basin of warm water, dunk in a face wash, wring it out and press it firmly against the face. The Compress is the better application if the skin is under any stress. And finally the Balance Hydrating Moisturiser is light yet very effective. This is the perfect skincare ritual for young men and women. 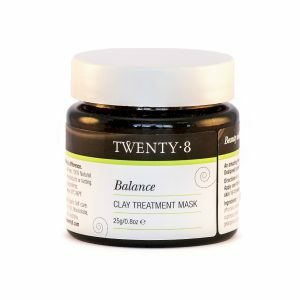 The Twenty8 products are all designed for sensitive skin – that’s how gentle and effective they are.